Vision is a Key Differenciator in Elite Sporting Success. 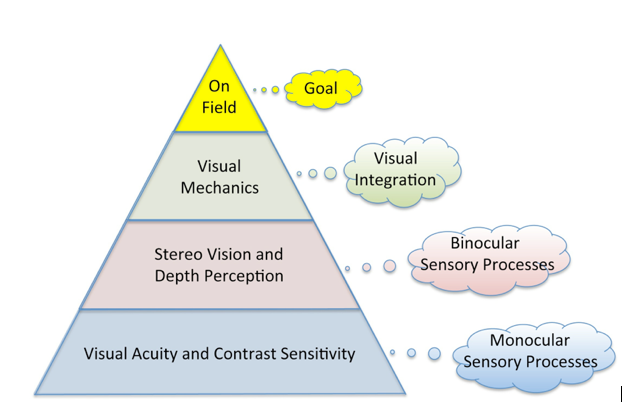 Visual Proprioception Technologies help visual orientation and location. Including 'Visual Core Training' helping stability and orientation of the competitive arena . See2wiN program offers a unique combination of world leading technologies including Eye Tracking ,IBS, Mobile Ocular Muscle Balance Training and Accuvision Hand Eye Board. Improved tracking of a moving target or location in a moving environment. Hitting a moving ball, catching, passing or driving/running a bend. Vision Tracking Training with the aid of the Dynamic Vision Trainer, EyePort and Eyetracking Technology can improve batting averages, driving techniques or judging turn when skiing, driving or riding. Peripheral vision training - beyond 20:20 vision offers accurate peripheral awareness essential in any field based sport, athletics or driving. Sports Vision Training includes hand eye co-ordination boards, EF training, EyePort and Vision Stability training. Audited outcomes have shown improvement of 16% in peripheral awareness in the lab and in the competitive environment.